What is one of the best ways to organize your clutter? That’s what I did when I built this skirted desk. 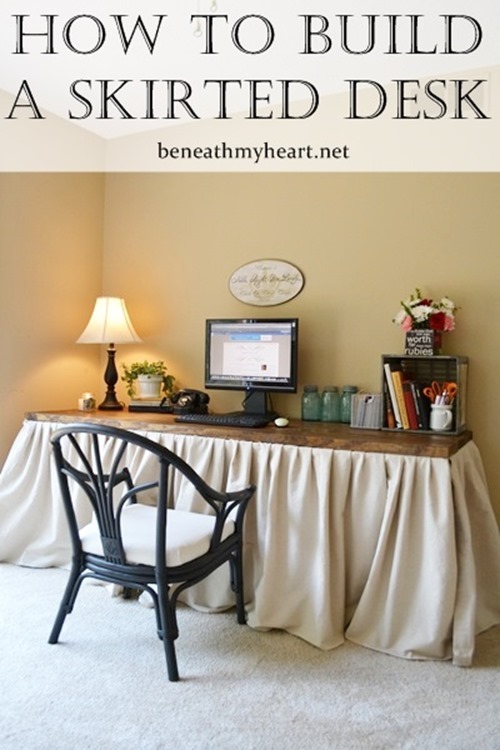 I was short on space and needed somewhere to hid my craft supplies, so I built this desk and created a skirt out of a drop cloth. It was super easy to do and a very inexpensive solution to my clutter problem. To see the tutorial of how I made it, click HERE. I made this DESK and ABSOLUTELY LOVE IT!!!!! It is a great addition to my craft room/office/spare room!! !